Malaysia’s Sig Gases Bhd says it has received an offer from France-based Air Liquide to buy its wholly-owned Southern Industrial Gas Sdn Bhd for US$55 million. 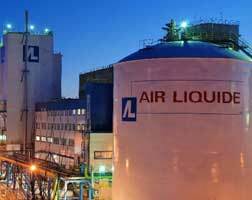 Sig Gases said its board would deliberate on the offer in due course and to let Air Liquide know by the end of March. “Further announcement will be made upon the decision of the board in relation to the offer and upon the execution of the sales and purchase agreement in relation to the offer, detailing the terms, effects and all relevant disclosures in relation to the Offer pursuant to the Main Market Listing Requirements of Bursa Malaysia Securities Bhd,” the company said in a filing to Bursa Malaysia (Malaysian Stock Exchange). Sig Gases advised its shareholders and potential investors to exercise caution when dealing in its shares as there was no certainty that the offer may proceed or may result in a binding agreement. Sig Gases said the acquisition would be fully satisfied entirely by cash, if the deal were to proceed. “The offer shall remain open for acceptance from the date of this announcement until March 29 and after which it shall lapse and be of no further legal effect,” it added.